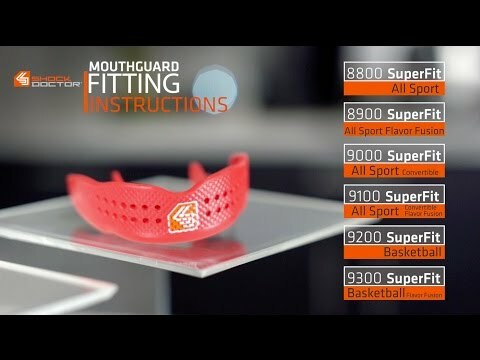 SuperFit Basketball Mouthguard is rated 4.2 out of 5 by 5. Rated 5 out of 5 by Kristopher B. from The fit and quality of The fit and quality of the product is incredible! Best mouthpiece I've owned! Rated 5 out of 5 by Ronda C. from Awesome Wasnâ€™t sure how the basketball mouth guard would fit due to the alignment of my childâ€™s teeth but it fits great. I am a dental hygienist and glad to have a website to able to refer my patients to that are having trouble finding a great mouth guard.